When the Rabbi's daughter gets married, it's sure to be a big deal. 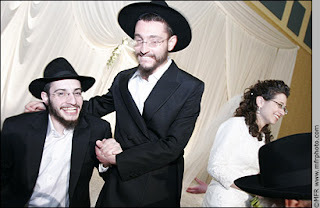 And when the rabbi is the popular Rabbi Yona Matusof, director of Chabad House of Madison, it's the biggest Chasidic wedding Madison has ever seen. Groom Nissi Gansbourg (center) and bride Chanie Matusof are congratulated by Nissi's brother after their wedding ceremony March 25. 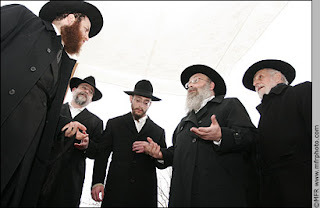 During the ceremony, groom Nissi Gansbourg (center) stands under the ceremonial chupa, surrounded by patriarchs, including his father (on his left), his new father-in-law Rabbi Yona Matusof, (to his right) and his grandfather Rabbi Yitschok Gniwisch. 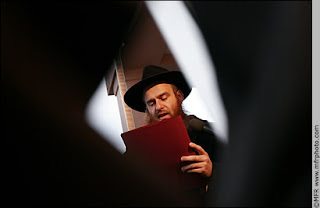 Rabbi Yosef Kantor is a rabbi in Thailand and flew from Bangkok to participate the celebration. Thanks for the interest in this story. I've now uploaded additional photos from the wedding. Click on each thumbnail to see a bigger version. Liquidator Mikhail Shumak's family at his grave in Sukachi, Ukraine, near Chernobyl. I spent the weekend finishing a grant proposal. Never a favorite activity, but I am excited about this one. 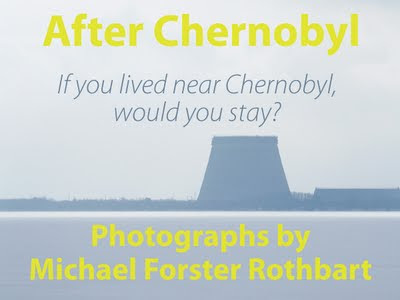 We requested $2,500 from the Madison Arts Commission to mount an exhibit of my Chernobyl photos this coming summer. I'm working with the non-profit FOCCUS. Even if we don't get funding, some version of the exhibit will be on display June through August at two sites in Madison. Here are two of the photos I included with the application. 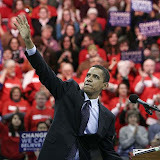 I don't think either of them have seen the light of day (or the flicker of the web) before. 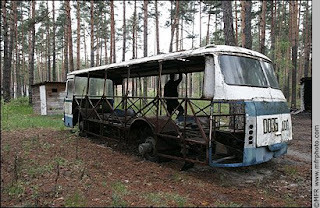 An abandoned bus rusts away in the forest near Lyutezh, Ukraine, south of Chernobyl. The village cemetery in Sukachi, 20 kilometers south of the Chernobyl Exclusion Zone, is full of liquidators who served in the clean-up efforts after the Chernobyl accident. 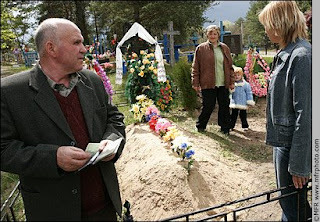 On Victory Day (May 9, 2007), Nadiya Ivanivna Shumak and her family visit the grave of her husband Mikhail Fedorovich Shumak, who died in October 2006 at the age of 61 with heart problems possibly caused by radiation. Since he lived nearby, Mikhail volunteered as a liquidator, cleaning contaminated vehicles in 1986 and doing construction and repair of canals in 1989. “However, he was without papers,” says Nadiya. “They didn’t document him on a komandarovka, didn’t write down his name,” so that later, he did not qualify for a pension or benefits. “Chernobyl was a dangerous time” says Mikhail’s cousin Ivan Mertel of Ivankiv, at left. “There was one with a respirator and ten without. Now no one knows what is clean and what is dirty.” Also pictured: Shumak’s daughter Tanya, grand-daughter Yana, age 3. Sukachi village is just north of Ivankiv and has population of 1,200. Alex's dad made this afghan for him by hand, and sent it to him from prison as a seventh birthday gift. Alex, age 8, has lived with his grandparents since he was 16 months old, when his mother went into a psychiatric hospital and his father was on trial. Today, Alex's dad is serving time in Redgranite prison near Wautoma, and his mother may be living in Washington or Nevada or Missouri. 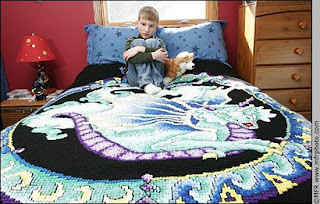 For Alex's seventh birthday, his dad spent over 500 hours crocheting and cross-stitching the afghan which now decorates Alex's bed. "We used to go see him a lot, but now we haven't been there for like 2 years," says Alex. "I would like to go more." Alex is one of about 46,000 children in Wisconsin (4.5 million children nationwide) who live with grandparents but not parents. Grandparents raising grandchildren: read the full story in this coming week's Isthmus.